Karolus Magnus is gorgeous. I hope he is a good kitty and eats all his peas. He is a very good kitty! He is a sweetheart! We love him! And yes, he eats – lots. 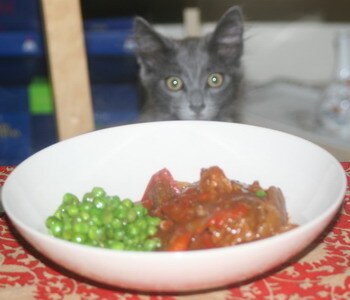 🙂 No peas, though – after all, he is a cat.